Shop Audio-Technica ATLP120USB Direct Drive Professional USB Turntable from AMS with 0% Interest Payment Plans and Free Shipping. 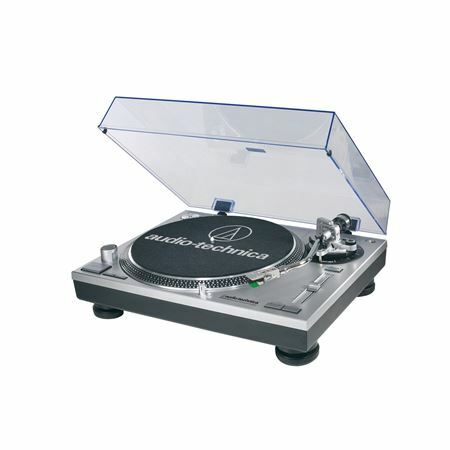 Audio-Technica AT-LP120-USB is a pro-level stereo turntable for the audiophile who wants the most out of their vinyl! 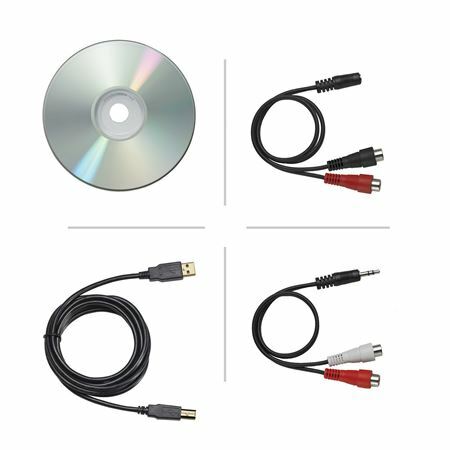 The AT-LP20-USB features a high-torque direct-drive motor for quick start-ups and a USB output that connects directly to your computer. With both a forward and reverse play capability, this Audio-Technica offers a cast aluminum platter with slip mat and a start/stop button. The AT-LP-120 turntable includes a removable hinged dust cover that will keep your player in prime condition. Great site for musicians ,, great selection!!! It's a great turn table! The ATLP120USB is a great turn table! Best turntable ive ever had. The setup is easy and the quality is amazing. Easy to set up and sounds great right out of the box! My son loved his gift! My Godson is so happy!! I purchased this turntable for my godson and he is so happy. He loves that he can connect it to his computer. It was just what he wanted for Christmas. He hadn’t been able to stop you g it since he got it two days ago. It is well worth the price! !